Yes, today is all about speedy baking and by speedy I mean making a cake in under 5 minutes. Genius right? You’re completely intrigued now aren’t you! Anyway before we get started on this recipe here’s a really quick background/history lesson before we get into this baking post. Back when I was in my second year at university I lived in a house with three other lovely ladies who will always be my life long friends – it’s like in Harry Potter and the Philosopher’s Stone, there are just some experiences that make you friends, no matter who you are. And okay we didn’t have to fight a mountain troll, but the shared experience of the ‘dog meat pie’, weird salsa lessons, Mrs Tozer (pronounced toes-ser didn’t you know) and the 20 crazy medics in our building during our first year in Leicester was clearly enough to make me recognise the amazingness of these three girls straight away. So one afternoon probably just after our daily ritual of watching the lunchtime episodes of Neighbours and Doctors we were craving cake, but we had none in the house which in itself is crazy. Don’t believe me? We had a whole cupboard in our kitchen dedicated to snacks and it was always full of all the sweet stuff, so much so that the 6 guys living next door would always pounce on it when they nipped around for a cup of tea, because they new it had all the good stuff in it. Anyway, we had not cake in our goodies cupboard and no one wanted to go to the corner shop (literally 2 minutes away) or bake as that would just take too long. Luckily for all of us, the marvelous Nina decided to share her microwavable cake in a bowl recipe. Which took all of about 2 minutes to make – talk about a revelation! Plus I remember that when we turned it out of the bowl it even had syrup running down the sides, from the sugary goodness that we had placed in the bowl first. I think we only made this cake once, so I don’t have the recipe, mainly because we never let the cupboard of goodness get bare again. But this cake in a bowl has stuck in my mind ever since and I have always meant to get the recipe off of Nina. Right that’s the history section over with. I know you’re probably all wondering why I waffled on about my uni years there, but it’s because I made a mug cake the other day and it reminded me of that time when the Hartopp Road girls made something very similar. 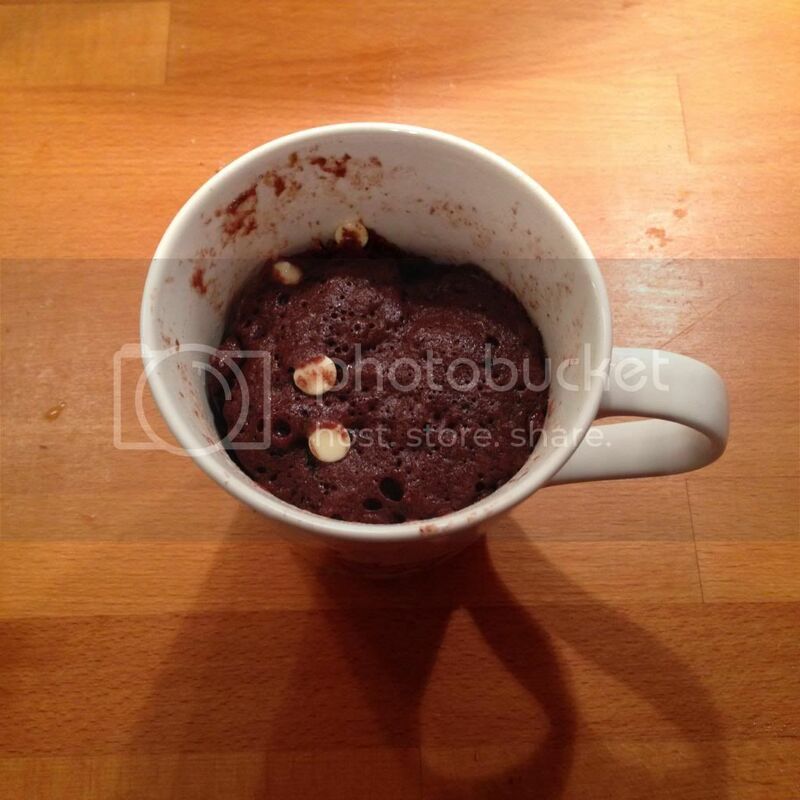 So yes today I am sharing a recipe for a mug cake. I’ve seen these all over pinterest recently and then when I was flicking through the Sorted boys cookbook I saw a version from them. Actually having a physical copy of the recipe meant that I just had to make it. So on Sunday after a mammoth (11 mile) run I decided I needed a treat and went for it. And here’s what mine ended up looking like. Nom nom nom! Seriously this was so good that it disappeared into my tummy in less than 5 minutes! Quickest and easiest cake ever. Go on give it a go. You know you want to. 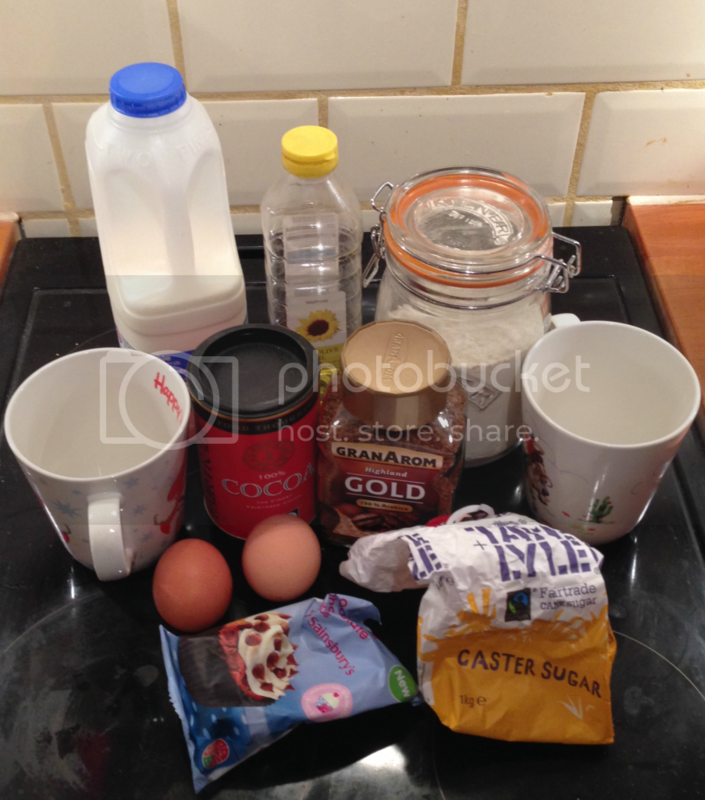 The post Mug Cakes was first posted on This Rambling Corner as Speedy Baking – Mug Cakes. This entry was posted in Sweet and tagged blog, blogging, Cake, cake in a mug, chocolate, food blog, homemade, mug cake, sweet stuff by Laura @ This and That blog. Bookmark the permalink. This is great. Now why have I never made one?